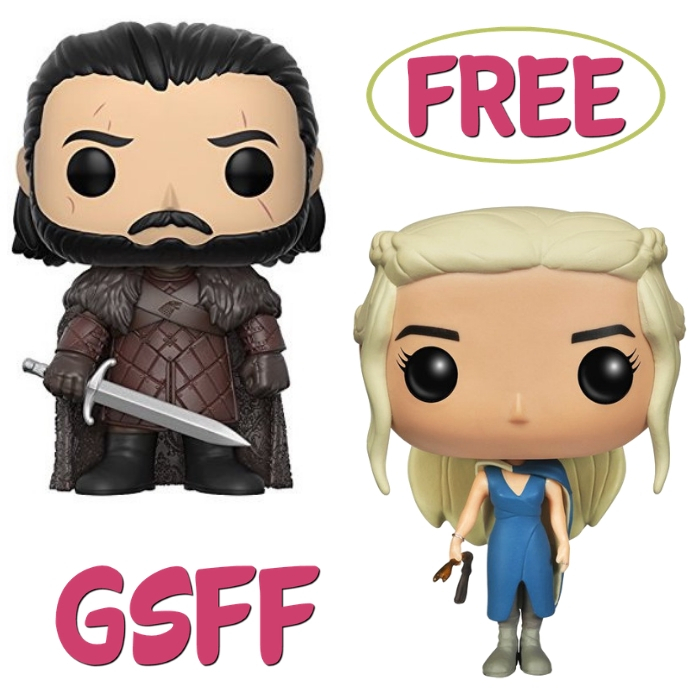 You are here: Home / FREEbies / FREE Game Of Thrones Funko Pop From Walmart! For all Game of Thrones fans out there, I’m sure you’re gonna love this FREEbie! Don’t miss your chance to get a FREE Game Of Thrones Funko Pop from Walmart for new TopCashBack members! The Funko POP Game of Thrones makes a fun gift for the fantasy fan in your life. For Jon Snow character, it is dressed in a fur cape, fighting leathers and a sword. You will find the dire wolf emblem of the character’s house emblazoned on his chest. This Jon Snow pop figure is a stylized chibi cartoon in bobble-head form. Just spend at least $6.99 – $11.00 or more on Game of Thrones Funko Pop from Walmart through this custom TopCashBack page and get $11 in cash back! Add at least 1 “Game of Thrones Funko Pop” to your cart for $6.99 – $11.00 or more and head to checkout. You must spend at least $6.99 to get this deal. This is a FREE In Store Pick Up or FREE Shipping for orders $35+ offer. Pay $6.99 or more. That’s it! The $11 will post to your TopCashback account within 14 days, and the amount will become payable within 14 days. Cash back can be credited straight to your checking or PayPal account. Note: Transactions must contain at least $6.99 worth of purchases to ensure the $11 cash back is credited to TopCashback accounts. Transactions may initially track lower, but within the 14 days after purchase it will be uplifted and turn payable at the amount of $11. Transactions may take up to 7 days to appear in your TopCashback account. The deal is open until 11:59pm PST on 6/1/2019 or until supplies run out; whichever happens first; applicable for purchases made directly after clicking through TopCashback. Only one TopCashback account is permitted per member.